Just a quick post today as we get holiday ready in style! But can I just say how much I love a good plaid!? The perfect flannel can be a game changer, right?! Plaid and red looks amazing on you!! Gorgeous!! 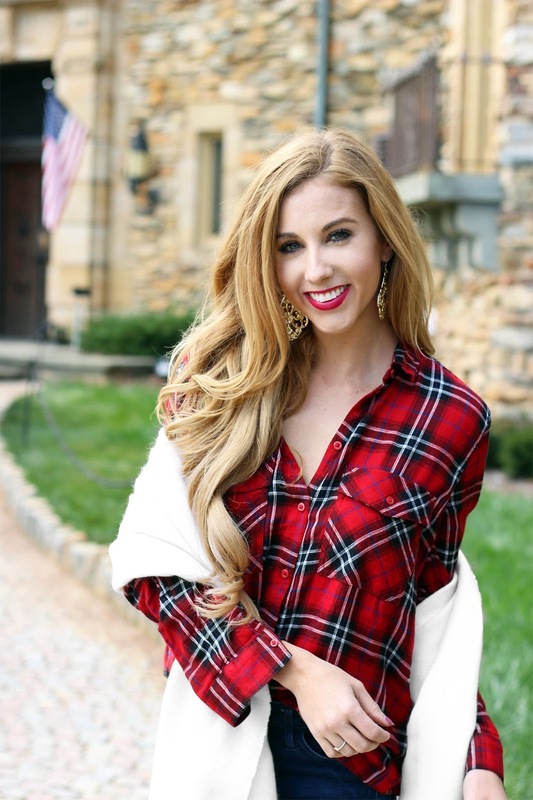 Love this holiday plaid look on you!